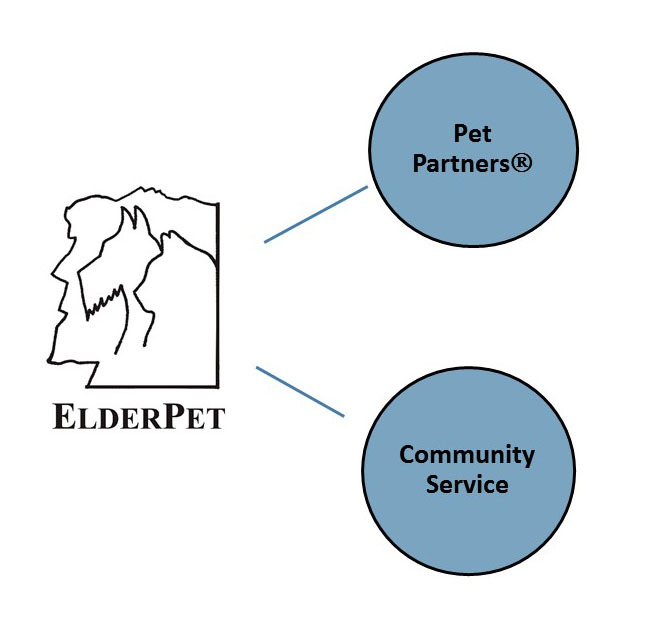 ElderPet is a service organization made up of Pet Partner Therapy Teams and community volunteers. The focus of ElderPet is to facilitate the important human/pet relationships of senior citizens, people with disabilities, hospice families, and clients of health care and other facilities. This is done via two branches – the Pet Partners Therapy Animal program and Pet-Related Community Services.